The Yoga Nomads is growing! We are beyond excited to introduce to you the newest member of our team, Kelly Alexander. As a content developer, Kelly will be listening to what you’re asking for and writing content to support it! Kelly comes to us from the sunshine coast of Australia and is a natural fit for us! She loves yoga, travel, cooking and nature. Need we say more? We asked her a few questions so you have a chance to get to know the new face you’ll be seeing around here, as she’s producing content just for you! Hi there! 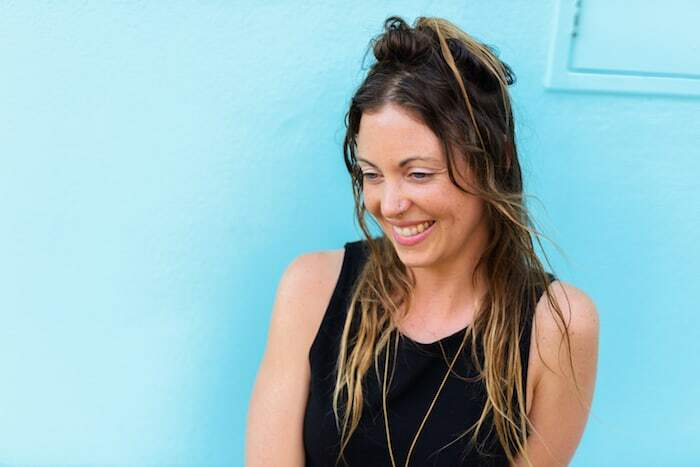 I’m Kelly, and I feel honoured to be here as the new addition to The Yoga Nomads team! I currently live on the Sunshine Coast in Australia, a beautiful part of the world surrounded by pristine beaches, lush forests and yes, plenty of year-round sunshine. I work as a freelance writer and content creator, I am a passionate yogi, and I love cooking, traveling and being out amidst nature. I also adore animals (especially cats), could happily live on mangos, and love snuggling up with a good book come nightfall. 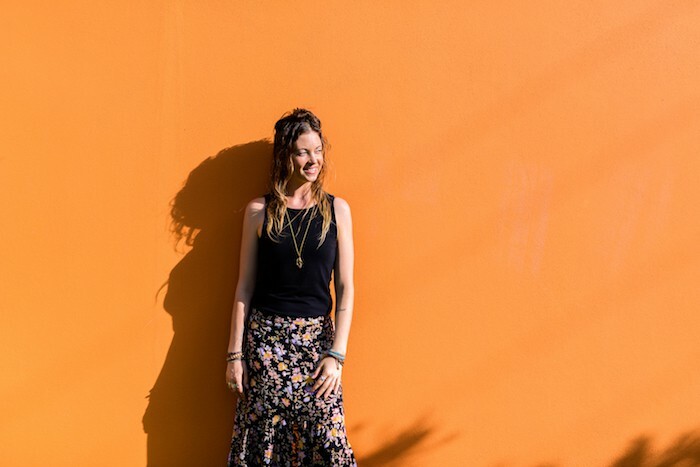 I found yoga when I first left home at the age of 21 and found myself in the small beach side town of Byron Bay. 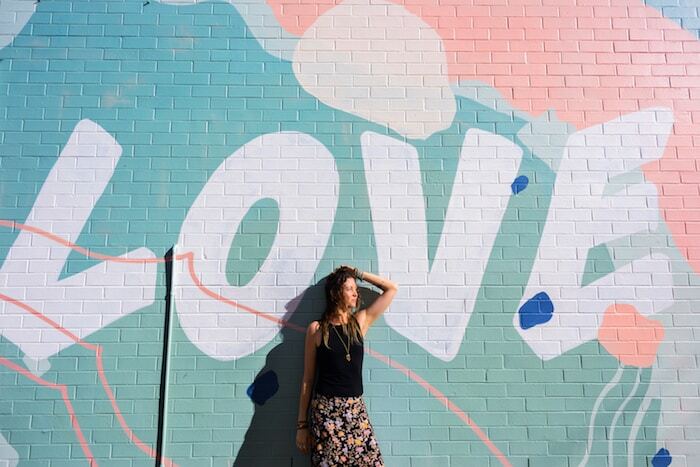 Byron Bay is well known for its alternative culture and the plethora of yoga studios, organic food, farmers markets, exquisite nature and sustainable living. I was a little lost at this stage in my life, fresh out of university and wondering what the world held for me next. I found myself in a yoga class with my beautiful teacher Rachel Zinman, and I always say that from the first Om, I was hooked! It was like I had come home. Yoga immediately resonated with me and swept me up under its wing. I couldn’t get enough of both the practice and the wisdom behind the asanas. 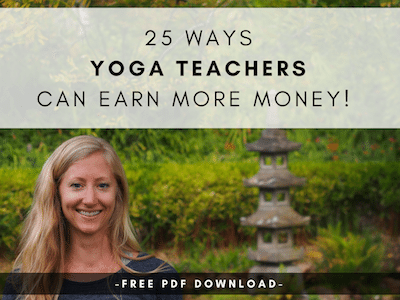 I did my 200-hour yoga teacher training with Rachel a year later and went on to teach as I traveled through South East Asia. Yoga is the one constant in my life. No matter what else may be going on, I show up to yoga each and every day. The time I spend on my mat helps me to be a better person; to be more compassionate, more open, more considerate, more willing, more courageous, more flexible, more authentic, more patient and more forgiving. 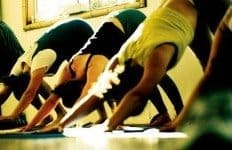 While I love the physical practice, I feel like yoga lives within me, and each moment of each day is an opportunity to embody the wisdom and essence that the practice teaches me. What does a typical day in your world consist of? I am a very early riser. It actually runs in my family and I always say it is the trait I am most grateful for inheriting! I wake around 4.30am and that is when I practice, before the rest of the world wakes, and while it’s still dark and quiet outside. It is my favourite time of the day by far. I often wander down the road to the beach for the sunrise and each morning my breath is taken away by the beauty of the world around me. I start work around 6 or 7am and generally work through until around 2 or 3pm. I like having the afternoons free to cook, write, run, go to a yoga class or sometimes I have catering or events in the evenings I assist with. You are most likely to find me tucked up in bed by 9pm with a book. I adore reading and my early rising time also inhibits me from being much of a night owl! This is actually a tricky question for me as I am quite an introvert and so the people that do know me, tend to know me quite well. I have always been a really solitary creature and love time on my own- whether that means galavanting around Central America on my own or being tucked away in a cafe with a pot of chai and my computer. So, one thing few people know is that I actually talk to myself all the time! I may be driving, sitting at my desk working, cleaning the house or in the supermarket. I seem to talk aloud far more than I consider normal! One of the perks (or downfalls?!) of a freelance lifestyle. What can’t you live without while traveling and why? 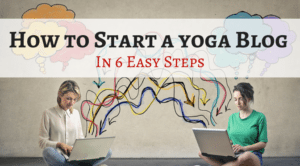 I always say that if I have my yoga mat and my laptop, I’m set for anywhere! These are really the only two things I need when I am on the road. One other essential though that is a little unique is that I make up my own superfood potion for when I travel! It is really just a combination of a plant-based protein powder, spirulina, maca, mesquite and barley grass. I just add it into smoothies or juices or even water when I am travelling and it means I can get a good dose of nutrition and protein no matter where I am. Writing, yoga and travel are certainly my top interests but cooking is another great passion of mine. I turned vegetarian when I was in my teens and I began cooking for myself and finding recipes and inspiration in library books and little vegetarian cafes in the remote outskirts of Melbourne city. 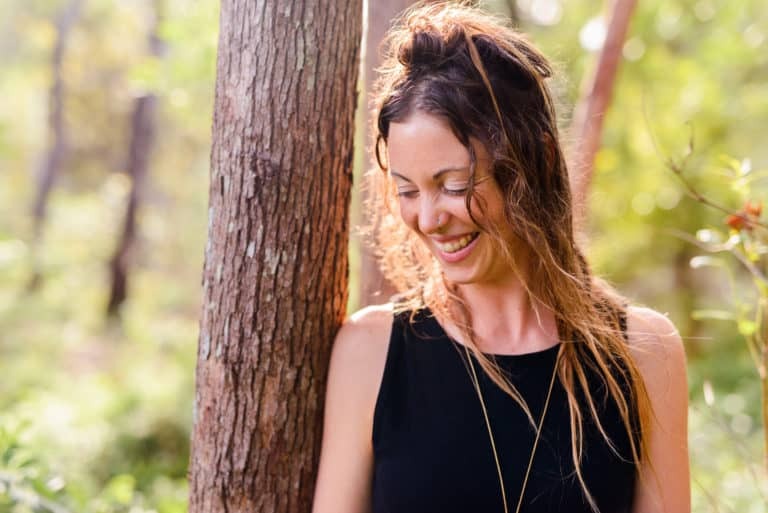 I trained as a raw food chef in Bali and I have worked as a chef in many raw and vegan restaurants, cafes, retreat centers and detox centers all over the world. Earlier this year I actually released my first published cookbook which was a culmination of my passion for cooking, healthy living and writing. At the moment, cooking has taken a back seat as I launch more fully into writing again, but I do enjoy doing catering when I can, and I also try to post new recipes on my website to keep my creative flow alive! After I launched my book, as exciting and rewarding as it was, I felt a gap in my life where I had been directing so much passion and energy for so long. I have spent the past few months really feeling into what my next project was going to be. A little soul-searching trip to Ubud made it very clear to me that my next project would involve yoga and writing. 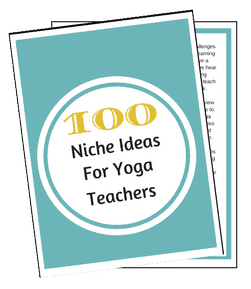 While I was formulating my ideas and a new plan was beginning to incubate in my mind, I found The Yoga Nomads! 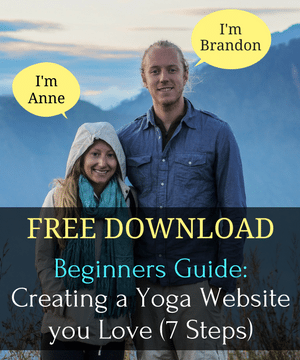 Anne and Brandon were offering something similar to what i was starting to envision, and then, almost immediately, an email landed in my inbox one morning with the title ‘We’re Hiring!’ I applied as quickly as my fingertips could dance across my keyboard! So, I feel very excited and grateful to say that The Yoga Nomads is my new project and the place where I look forward to directing my passion and ideas. What type of content are you planning to focus on at TYN? 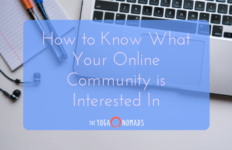 I am very interested in the entire scope of content that The Yoga Nomads offer. 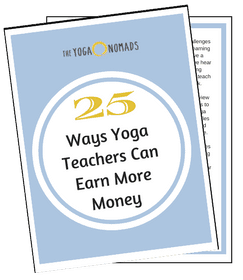 I look forward to helping guide, educate and inspire both new yoga teachers and professional yoga teachers to find new ways to earn a successful living in the yoga realm. 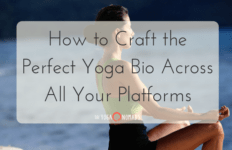 A key interest of mine at the moment is aligning the ethics and essence of yoga with the digital world, and how to do this in a way that is both authentic and profitable. There are so many other facets to explore; from travel guides to the best yoga hotspots around the world, to new beneficial yoga accessories, to the debate concerning the diversification of yoga, to why Pinterest is a great marketing tool, to the key do’s and don’ts when planning your first retreat… The list goes on! 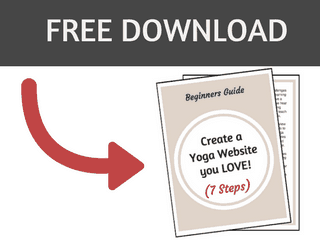 I am never short of writing topics when it comes to yoga! Now I have a wonderful platform and community to share them with! And a few rapid fire questions to wrap things up! Natarajasana. I danced throughout my childhood and adolescence and this pose always takes me back to these memories! I also love the focus it requires and the balance between strength and surrender. Koh Phangan, Thailand. It was one of the first places I travelled to on my own and I ended up staying for almost a year! With plenty of yoga, deserted beaches, breathtaking sunsets, waterfalls and fresh healthy food, what’s not to love? !